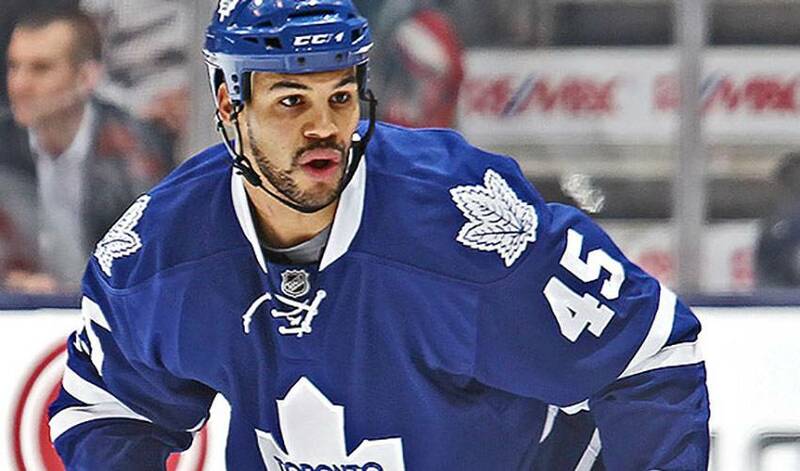 He might have been calling from a city that represents one of Toronto’s biggest NHL rivals, but Mark Fraser is definitely all about the blue and white. His hometown is Ottawa, but the rugged defenceman, who recently signed a one-year contract with the Maple Leafs, is embracing the opportunity to contribute to an Original Six club looking to build off a successful 2012-13 campaign. Hard work and patience is not a foreign concept to Fraser. Selected 84th overall by the New Jersey Devils in 2005, the blueliner has appeared in more American Hockey League games than NHL contests. Fraser, however, isn’t keeping count of where he’s played since his first taste of big-league action in 2006-07, when he skated in seven games with the Devils. Instead, the former Kitchener Rangers’ alumnus is all about the present. While he wasn’t on the ice for last year’s deflating Game Seven opening-round playoff loss to eventual Stanley Cup finalists, Boston, Fraser, despite the outcome, sees plenty of good days ahead for the team and their fans. While his last NHL goal came in the 2009-10 season, the most meaningful points for Fraser come in the form of the standings. After kicking off the regular season with back-to-back away games against the Montreal Canadiens and the Philadelphia Flyers, the Maple Leafs face-off against the Senators at the Air Canada Centre on October 5. For Fraser, the toughest part of the schedule is in having to wait over a month for it to start.